Souliers Martinez's 'Gibraltar' mules are the shoe equivalent of a '90s slip dress in terms of how versatile and minimal they are. 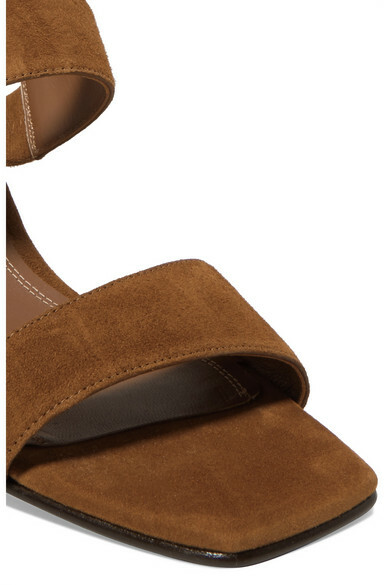 Made from tan suede and lined in leather, this pair has two straps across the front to frame your foot and a squared footbed. 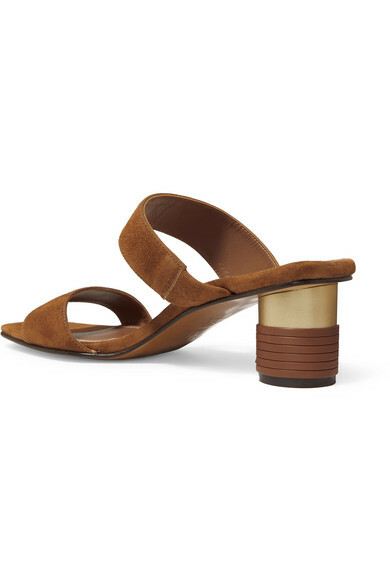 The leather-trimmed cylindrical heel is low enough to wear all day long. Shown here with: Totême Dress, LOW CLASSIC Shoulder bag.